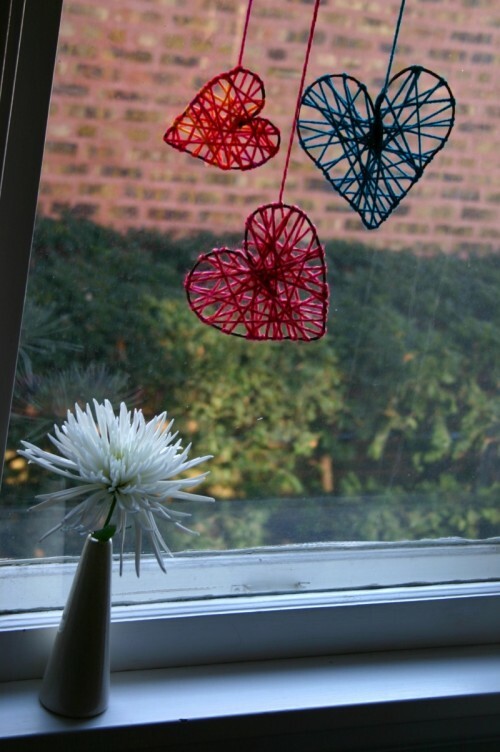 Garlands and wreaths are great decorations for Valentine’s Day but how to decorate your windows? Yarn hearts is a nice solution for that. They are easy and fast to make so it isn’t late to start. 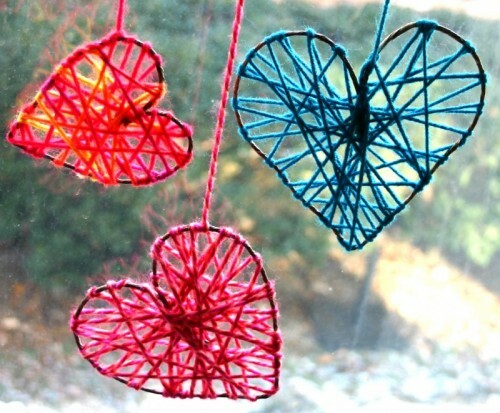 These hearts are made of rustic floral wire and yarn wrapped around it. Besides these materials all you need is a wire cutter and scissors. 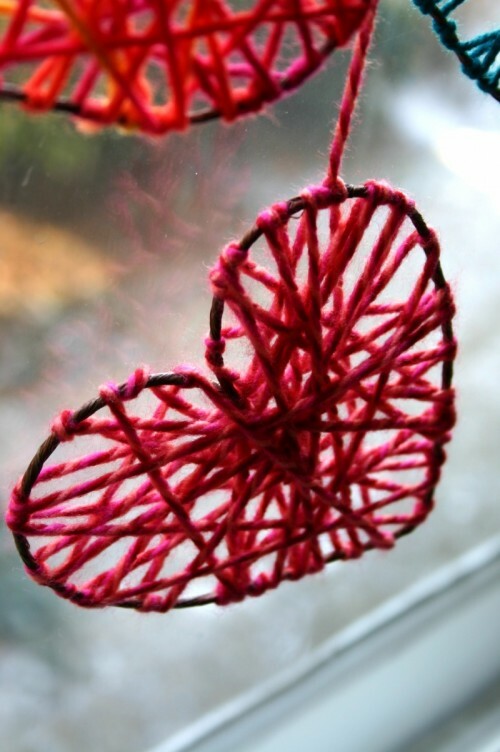 To make one heart – clip off a floral wire of proper length and bend it into a heart shape. Next, tie yarn onto that heart and pull yarn across it. After that do the same for other side of the heart. 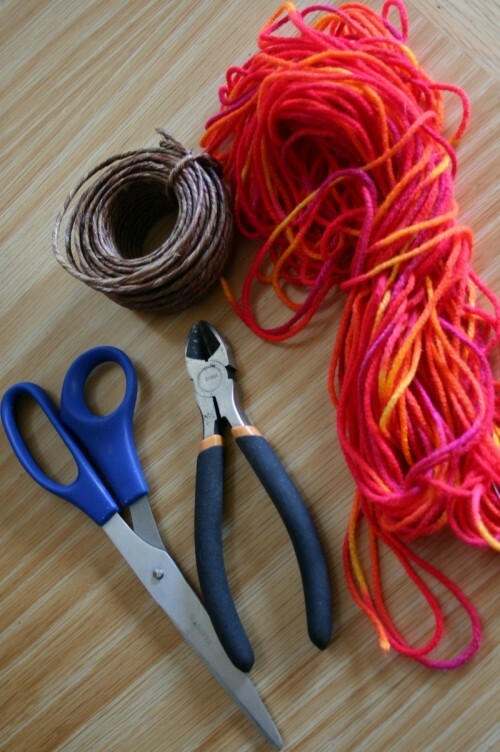 Tie a knot and cut yarn with enough length for hanging. You’re done. Repeat the process as many times as many hearts you want to see on your windows.